As we design and develop new technologies, we must not forget that machines can and should be as human as those interacting with them. "A Machine That Listens" is an interactive art piece that, rather than taking the form of an intimidating supercomputer, looks and behaves like a child learning a new language. 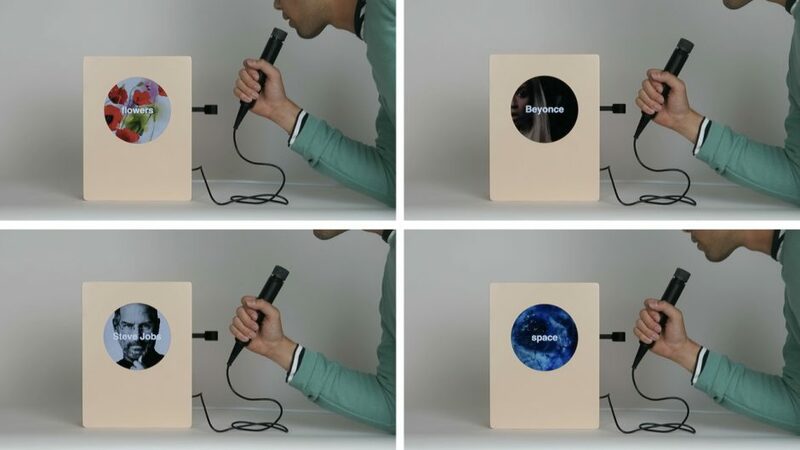 This simple yet playful machine receives audio input from the audience through a built-in microphone and displays what it hears in both text and visuals taken from the internet.